have been added the brushstrokes of modern comforts and services. You can make your choice from the variety of or the rocky seaside places in order to enjoy the clear like crystal seawater of the island. There are sandy beaches and others with pebbles, but the majority along the coast is rocky. 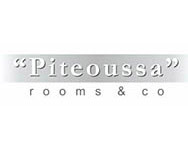 If you have time available, you can visit using the coasting service or hire a sea-taxi, Spetses or Poros, for coffee, a meal and wandering about the place. Following the old trails, you can bring your steps to the six monasteries of the island. Discover the beauty of the untouched landscape. Explore the first settlement in the district of Episkopi, westwards, with the Protohellenic ruins. Wander about the alleys and back streets of the town; discover hidden tiny squares and passages, humble little houses and big Mansions. Admire the unique architectural heritage of the island, as well as the inexhaustible inspiration of the craftsmen. Wander about the alleys and back streets of the town; discover hidden tiny squares and passages, humble little houses and big Mansions. Admire the unique architectural heritage of the island, as well as the inexhaustible inspiration of the craftsmen. The old town uphill in Kiafa, is enchanting. Numerous narrow passages, stone built houses and splendid views, compose fantastic scenery. which is situated on the west side of the port. Today, the Branch Office and School of Fine Arts of the Athens Polytechnic is functioning here. which is situated on the eastern part of the port, where the Academy of Captains of the Merchant Navy functions. It was the first school in Independent Greece, since 1749, that started functioning. Roaming about the seashore of the town, it is worth visiting the famous Monastery, which is the cathedral of the island. Invaluable treasures from the Revolution of 1821 are kept and exhibited in the Historical Archives and the Hydra Museum. It’s the magnificent building on the left of the port.